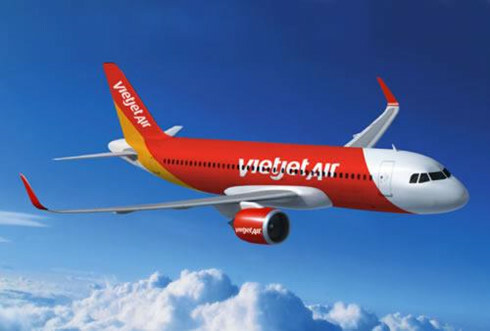 Vietjet Air has offered 3,000 tickets from zero Vietnam dong (excluding tax and other fees) on the occasion of the Da Nang International Tourism Fair 2016, which is scheduled for June 24-26. The low-cost airline has also co-ordinated with other travel companies to offer discounts for tours from Da Nang to HCM City, Hanoi, Hai Phong and Can Tho. Apart from Vietjet Air, several airlines and travel companies have implemented tourism stimulus programs to attract international and domestic tourists to Da Nang city. Vietnam Airlines plans to present a discount code of 20% to 200 first passengers taking part in the fair on the route between Da Nang and Hanoi, HCM City, Buon Ma Thuot, Pleiku, Da Lat and Nha Trang. Meanwhile, Jetstar Airline has also offered a discount on air tickets from just VND99,000 during the fair. International Da Nang Sun Peninsula Resort has also launched tourism programs with a discount of 20% while Asia Park under Sun Group has also implemented a program named Happy Tuesday with a discount of 25% from now to December 31.